← Two years, and counting! Gallery | This entry was posted in Life on the Concord River and tagged a blog about living on a river, adopting a blind dog, adopting a rescue dog, Australian shepherd, Australian shepherd great pyrenees mix, Big Fluffy Dog Rescue, blind Aussie, blind Australian shepherd, blind dog playing, blind puppy, blog about blind dog, blog about dogs, Concord River Lady, concordriverlady, dog born blind, how to raise a blind dog, living on the Concord River, River Lady, Stevie Ray the blind dog, youtube video about blind dog. Bookmark the permalink. 2 Responses to We had a romping good time! 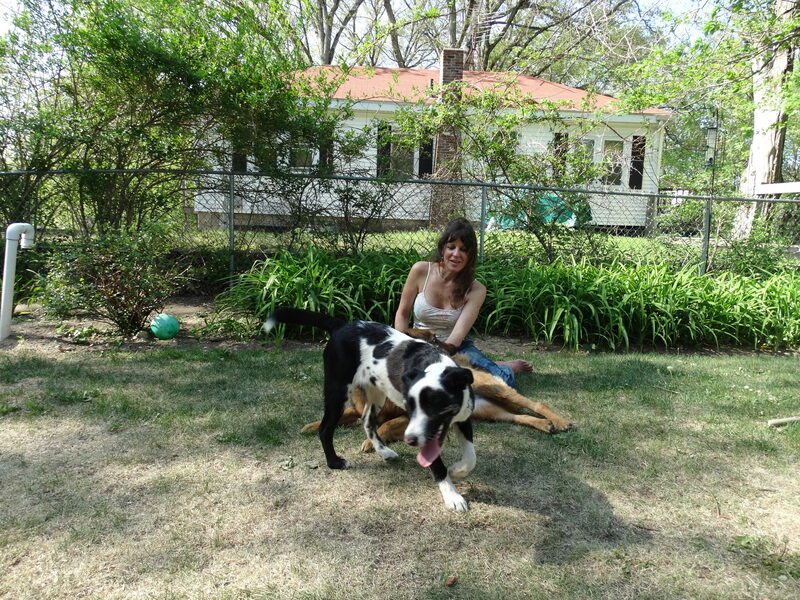 Hi Stevie welcome to the fold!Penny is now the wise old gal…..never chase when you can relax behind a tree in her delightful yard! Chasing is for youngsters!!!!! 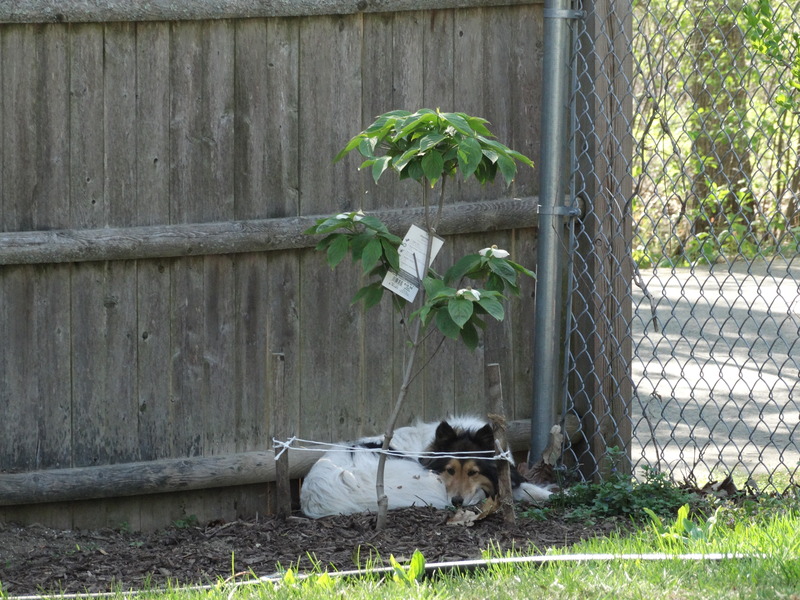 Yes, us old gals need to sleep under a dogwood tree instead of being chased by young pups. Unless, of course, the young pup looks like Channing Tatum!